That said they’ve had a couple of recent slips that have kept social media busy: the proposed changes to Clubcard was not well received by loyal shoppers, nor was the meal deal shrinkflation which hit stores in this last week. 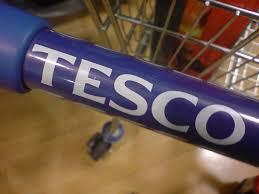 So they need to be mindful that shoppers have so many easily accessible alternatives to Tesco. The business needs to cast a shopper perspective over all their plans, to make sure they don’t lose touch and alienate the very people making such a difference to their bottom line.